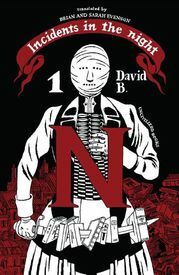 The Copacetic Comics Company | Incidents in the Night 1 by David B.
Upstart Minneapolis-based publisher, Uncivilized Books, headed by the innovative cartoonist, Tom Kaczynski, has scored a coup in securing the US rights to this amazing series by top European cartoonist, David B. 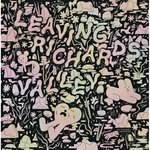 As no one here has had the chance to do more than look at it (and it looks great!) we're going to pass on the official Uncivilized Books propaganda: "In Incidents in the Night David B. (Epileptic, The Armed Garden) sets out to explore the uncharted territories of overflowing and dusty shelves of Paris' legendary book shops. His journey quickly turns into an obsessive vision quest in pursuit of a mysterious 19th Century journal: Incidents In the Night. Mountains of books become sites of archeological digs as the author excavates layers of myth, fact and fiction in search of the elusive thread that links them all. Along the way he stumbles on fanatical Bonapartists, occult conspiracies and the angel of death. Incidents in the Night is an intricate, ever-expanding web of dream and reality exquisitely translated by novelist Brian Evenson (Immobility, The Wavering Knife, Fugue State)."